Can you recall the last time you had Peranakan food? Was it at a restaurant? Or did you have the privilege to partake of a home-cooked Peranakan feast? 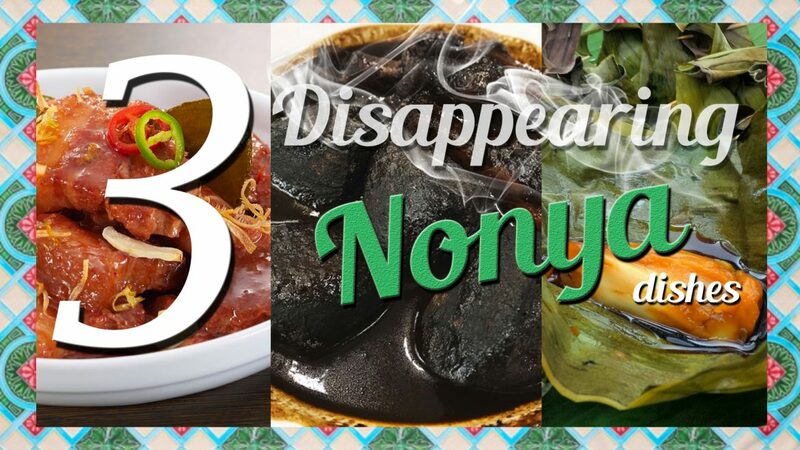 Nonya cuisine has become so rare to find nowadays that true-blue Peranakan-helmed restaurants are becoming a novelty in Singapore. Babi Tohay is an aromatic pork-based dish that is cooked in a fermented brandy sauce. The strong overtones of the sauce are well-balanced with fresh garlic, lemongrass, and kaffir lime leaves - giving you the perfect bite of fatty pork belly that has a subtle citrusy zing. There is a vibrant red hue to the dish because of the "Ang Kat" that is added during the cooking process. "Ang Kat" is a red rice yeast that has great health properties like improving digestion and blood circulation. As its name suggests, the recipe calls for the addition of Tohay, a paste made by mixing fermented shrimps, brandy and red rice yeast. The fermentation process takes up to a week and requires the mixture to be stirred 3 times a day to ensure the ingredients are well incorporated. 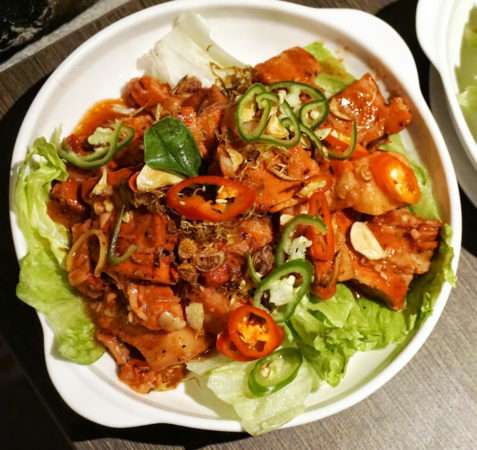 Therefore, the dish may not be as popular to serve in Peranakan restaurants nowadays because of the laborious preparation. Buah Keluak is the quintessential Peranakan delicacy that almost everyone will associate with Nyonya food culture. 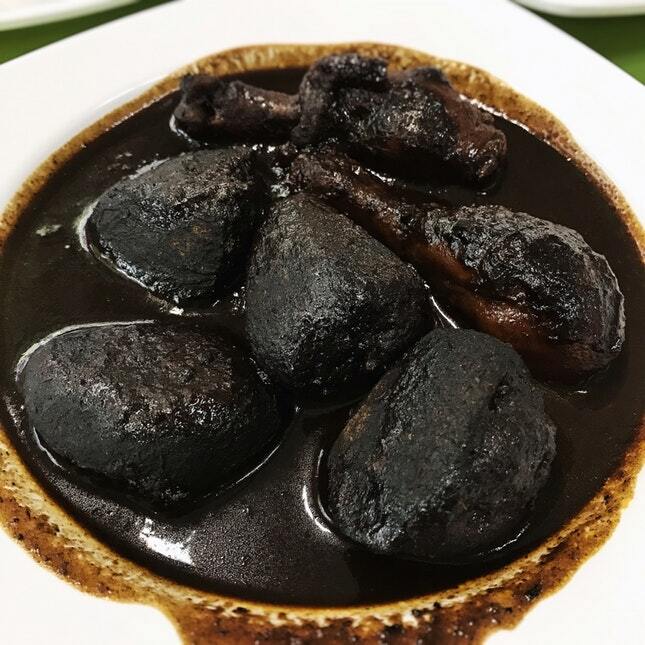 Be it Ayam Buah Keluak or Babi Buah Keluak, the dark and mysterious look of the dish is as enigmatic as its origins. Buah keluak is a type of unique-looking nut that can be found in the mangroves of South East Asia. It is poisonous but can be rendered edible by burying underground or soaking in water for at least a week to neutralize the toxins. To prepare, an incision is made in the tough shell before the "flesh" inside the nuts are painstakingly extracted via the tiny opening. Because Buah Keluak has an acquired taste that is bitter and earthy, most people, especially the younger generations, may not take a liking to it, hence becoming less sought after. One dessert that is slowly vanishing from the food scene is the elusive Kuih Bong Kong, with very few Peranakan food stalls still making and selling the Kuih today. 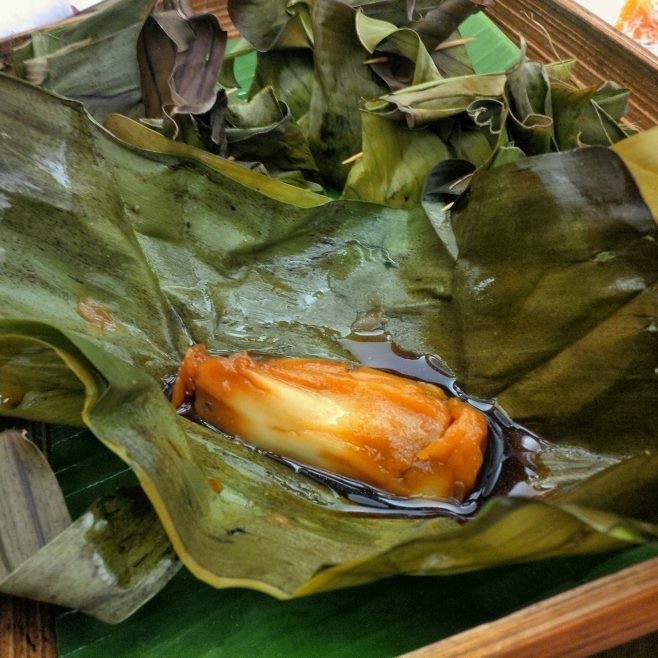 The glutinous and coconutty Nyonya kueh is filled with sweet and fragrant Gula Melaka before being steamed in a banana leaf. Its soft and springy texture is hard to attain because you'd have to get the perfect balance of starch, flour and water in your kuih batter and steam it to the right consistency after. The challenge does not end here though, most recipes would call for you to intricately wrap the kuih batter with the banana leaves in order to retain maximum moisture while steaming later. Very technical right? No wonder most people would think twice before attempting to make this kuih! Fewer Peranakans are learning the ropes and continuing the heritage of the generations before them and this has sadly led to the fading of their Peranakan food culture. What's worse, if nothing is done about it now, it may eventually become a lost art! If you are an adventurous foodie and would like to get your hands dirty and put together some delectable Peranakan fare today, do take a crack at the Peranakan recipes below! 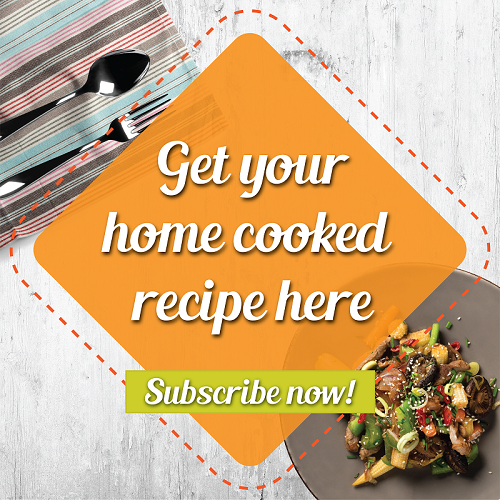 Here are the recipes we've promised! the fried lemongrass, shallots and ground garlic till you get the aroma. Lastly, add the cut fresh chillies and garnish it with the remaining fried shallots, garlic and lemongrass, and serve. minimum of five days, shaking the bottle three times a day. Step 1: To prepare the black nut, soak for at least 3 days, scrubbing and changing the water every day. On the day of preparation, crack open nut with a small chisel hammer or pestle of a batu lesung at the “lip” where the nut is smooth. Remove the kernel of the nut and grind through a fine sieve to get a firm smooth paste. Reserve 150g of the black nut paste for the gravy. Season with the remaining paste with a pinch of salt and pepper, and proceed to stuff the rest of the black nut paste into the nut shells, using the back of a dessert spoon to firmly press the paste against the interior of the shells. This helps to prevent them from dislodging during cooking. Step 2: To prepare rempah, blend chopped garlic and shallots first together with belachan. Strain the mashed garlic and shallots over wire sieve to collect juices. Use the juices to blend buah keras,kunyit, lengkwas, serai. Add some water if necessary. Blend reconstituted dried red chilli separately to make cili boh. Combine all the components together for a final blend till a smooth consistency. Step 3: To fry the rempah, first heat wok and dry fry rempah without adding any oil. This is to allow the excess moisture and water introduced during blending to evaporate. After the rempah is reasonably dry, add oil and stir fry over medium-low heat until fragrant. Step 4: Add in the reserved black nut paste and tamarind water simmer for 10 min. Add kaffir lime leaves at this point. For more oomph, crush with a pestle or back of knife the upper parts of the serai and add into the gravy. Step 5: Add in chicken, stuffed black nuts and enough water or chicken stock to cover and braise till meat is tender. Season with salt and sugar. Step 1: In a mixing bowl, add the flours, sugar, salt and coconut milk. Give everything a good stir to homogenise. Step 2: Pour the mixture and pandan leaves into a wok or deep saucepan. Stir over medium low heat until the mixture thickens considerably. Give the mixture a taste to make sure there is no “raw flour taste”. Step 3: Turn off flame to let the batter cool down slightly. To a small bowl, add about 4 tbsp of batter and mix well with bunga telang extract. Step 4:Place a piece of soften banana leaf over a working surface and clean the surface with a wet kitchen towel. Step 5:Place a generous tbsp of white batter over the middle of the leaf and place a few nuggets of chopped gula melaka over the batter. Step 6:Cover the gula melaka with more batter, as well as some batter coloured blue with bunga telang extract. Step 7:Place a small piece of pandan leaf over the top and wrap the kueh bongkong parcel as described in the photos above. Step 8:Secure each parcel with a “lidah” and “lidi“. Step 9:Repeat until all the ingredients are used up. Step 10:Place the parcels in a steamer and steam at high heat for 20 min. Step 11:Let the kueh bongkong cool down to room temperature before placing in the fridge for a couple of hours. Step 12:Serve the kueh bongkong chilled.